I do like this species. Ivan Holiday has written excellent books on the identification of these and the books are readily available. 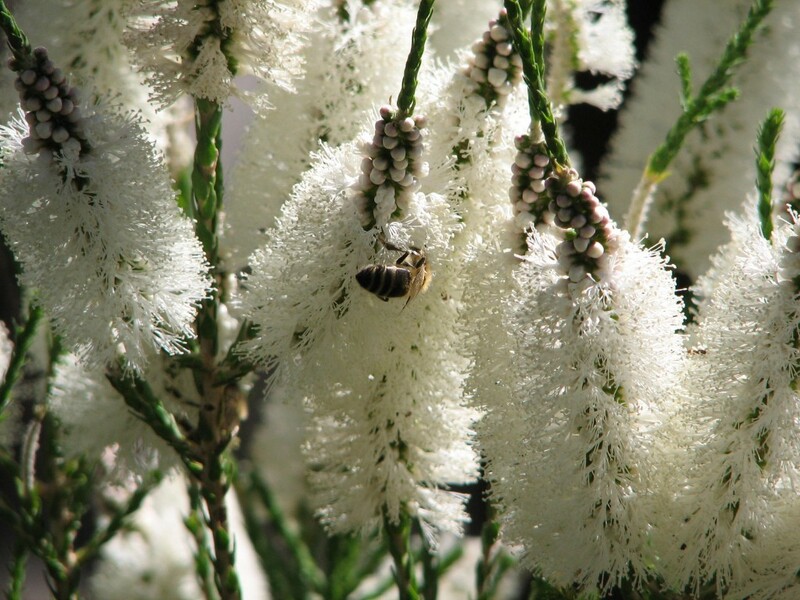 Melaleuca hueglii is one that does very well here in dry and alkaline soils. This is quite a large shrub but accepts quite severe cutting to bare wood. There is a form which has pink buds that open to white flowers. It is best to trim these after flowering. Hello, I was looking for a photography of melauluca plant and your website has it. I´m interested on buy it because I need it for my job. How can I can talk with the autor?